At first glance Delaware would appear to be a horrible state to live in if you enjoyed the occasional game of poker. There are no poker rooms or casinos that offer poker games. In fact, there has even been cases where players were arrested for hosting a home game. You know what’s crazy about this? 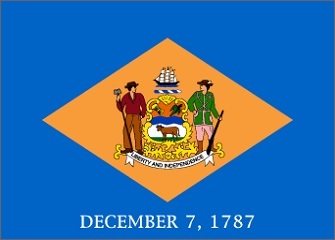 Delaware is the 2nd state to legalize online poker in the United States. They passed the law in June of 2012. I would guess that this bi-polar approach to their poker laws has a lot of Delaware players confused. So we thought we'd help you out by breaking down their gambling laws to you. 1411. Unlawfully disseminating gambling information; class A misdemeanor. This looks like it would apply to dial-up and broadband internet. Furthermore, we've found other passages that could mean that Delaware officials are able to police internet traffic and search online gamblers for prosecution (although this hasn't been attempted to date). 1431. Telephone messages received or overheard by police as evidence. In any prosecution for a gambling offense, evidence that a police officer, when making an arrest for a gambling offense, received or overheard telephone messages intended for the accused or an associate of the accused which tend to prove that gambling activity was being conducted is admissible. The gathering and disclosure of such evidence, including the contents of the telephone messages received or overheard, does not violate any law of this State. So, I would say no. Online poker is not legal in Delaware. However, what is legal in Delaware is online "intrastate" poker. Intrastate means that all poker games running in Delaware will be for Delaware residents only, unless they team up with outside states. To date no intrastate poker websites have been created or launched. 1404. Providing premises for gambling; class A misdemeanor; unclassified misdemeanor. (4) The person keeps or maintains any house or place where gambling is carried on. This more or less applies to someone running a home game, as does Section 1405 that makes it illegal to own a gambling device. A gambling device could easily mean chips, cards, tables and software. Do Casinos in Delaware Offer Poker? You won't find any casinos, poker rooms or clubs in Delaware. However, what you will find are cards games like 3 and 4-card poker, double draw poker, pai gow, ultimate Texas holdem and Mississippi stud at Delaware's tracks. Dover Downs is a popular choice. We receive a lot of questions about poker in Delaware. You'll find those questions and our answers below. Will online poker be regulated in Delaware? In June of 2012 the bill HB 333 was signed and put into motion. This bill expands the current state lottery options to the internet, as well as sports betting and the casino-style games. The Delaware Gaming Competitiveness Act of 2012 authorizes the state to operate online gambling games which include video lottery, slots, keno and table games such as poker. There are no poker rooms in the state yet. As we understand it the process can take 12-18 months from the time it's made legal. So we very well may see poker sites operating in Delaware in late 2013, early 2014. That said, Delaware is so small that a state only poker site will have a difficult time operating without outside partnerships. Time will only tell, though. Is there an online poker room that accepts players from Delaware? Yes, but given the laws we encourage you to be cautious. If you have any questions you should seek legal advice. That said, players in Delaware are able to sign up anywhere US residents are being accepted, which includes sites like BetOnline, Bovada and Sportsbetting Poker. There are no intrastate poker rooms at this time (4/2013). What other forms of regulated gambling is offered in Delaware? Residents of Delaware can participate in horse racing, off-track betting, the state lottery and lottery-based sports betting. Casino games (like blackjack, craps, roulette and slots) can be found at said racing tracks. Where can I read more about Delaware poker laws? Poker players can win no more than $5,000 in a charity poker tournament. The total prize amount cannot exceed $13,000. Sports betting in Delaware is only allowed in a lottery-like way. Delaware attempted to introduce sports betting in the 1970s. However, it failed and as a result they are one of 4 states grandfathered into the 1992 federal law that bans players from betting on sports.